National Insurance Company Limited is inviting applications for Administrative officers for the year 2017. 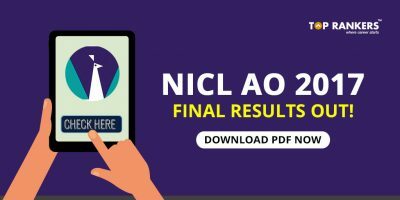 The NICL AO is an national level administrative exam taken by thousands of candidates every year. This year the NICL AO has 205 posts in Generalist and specialist disciplines. The exam will be conducted in the month of June this year. There are less than 2 weeks to prepare for the exam. We look at what you can do in 2 weeks to get through in the exam to secure the post of NICL PO. Reasoning Ability: Analogies, Inequalities, problem solving analysis, Puzzle/ NICL Syllabus, Odd Man out, Syllogism, Statement and conclusions, assumptions & arguments, Blood relations, Alphabet test, Series test, Sequences, Directions, Sitting arrangement, Decision making, Input output, Assertion and reasoning etc., syllogistic reasoning, arithmetic reasoning, verbal and figure classification, arithmetical number series, Symbol series, coding and decoding/ NICL Syllabus, statement conclusion.Syllabus for NICL AO Prelims: Studying for the exam without knowing the syllabus is like not knowing where to go. Lets look at the syllabus of NICL AO. English Language :Verb, preposition, adverb, Error Correction/ recognition, tenses/ NICL Syllabus, sentences rearrangement, paragraphs / passages for fill in the blanks, vocabulary, Synonyms and antonyms, one word substitution etc..
Quantitative Aptitude: Simplification, Average, Numbers, Percentages, Time & Work, Area, profit & Loss, Simple & Compound Interest, Time & Speed / NICL Syllabus, Time & distance, Investment, LCM / HCF, Age, DI including Bar Graph, Pictorial Graph, Pie Chart having percentage calculations. 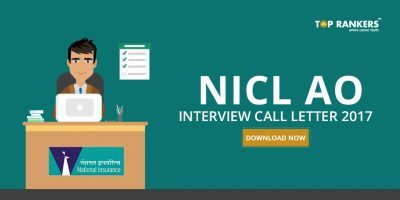 How to Crack NICL AO Prelims in 15 days? It is necessary to know your strengths and weaknesses before you start out. As a result, you can work on your weaknesses and improvise on these areas to score well in the exams. You should also create a section wise strategy and get familiar with all the topics. Practice a lot to manage your time well in the exams. Bifurcate enough time for each topic as there is less than 2 weeks of time. 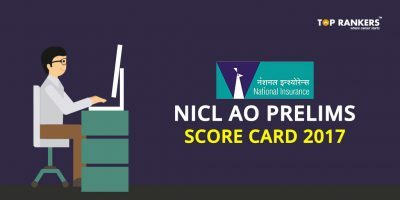 Hope this blog helps in guiding you to prepare for NICL AO. 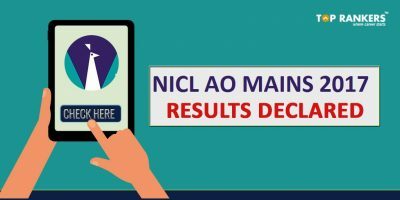 Stay tuned for more updates on NICL AO.